Lois Kibbee appeared on the The Edge of Night and One Life to Live. 09/09/1977 0706 The Woman in the Green Dress An apparition of a lady in a green dress haunts a visitor in his friend's residence. Things get interesting when he finds her mentioned in a coat of arms in the architecture of a derelict, local church. Further enquiry with the old church sexton reveals a strange murder committed nearly eighty years back. Can he solve the mystery now? Lois Kibbee (July 13, 1922 – October 18, 1993) was an American actress. On TV, Kibbee's most notable roles were on daytime soap operas. She had a long run as wealthy Geraldine Weldon Whitney Saxon on the CBS/ABC daytime soap opera The Edge of Night, where she appeared from 1970–71 and again from 1973 until the show's end in 1984. She also portrayed frosty matriarch Emily Moore Matson on NBC's Somerset from 1972–73, a character whose eccentric family was involved in a murder storyline centered on "Jingles the Clown". 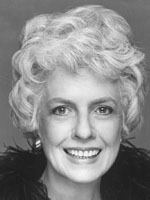 Later in her career, she played powerful matriarch Elizabeth Sanders on ABC's One Life to Live (from 1986–88 and again in 1989). She Else appeared on the soap Seach for Tomorrow as Elaine Descot, On film, Kibbee may be best remembered for her role in the film Caddyshack as Mrs. Smalls. Unforgettable. I grew up with Edge of NIght and One Life to Live in the background as a played and later while doing my schoolwork. She would command the screen anytime her character walked on stage. What a presence!